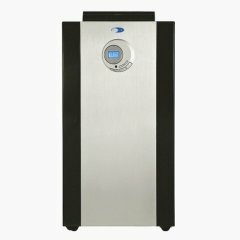 Based on its aggregated rank of 75%, we conclude that the Whynter ARC-14S 14000 BTU is currently Alphachooser's best Whynter air conditioner 2019. Alphachooser also concludes that our sample of 2192 reviews from our sources gives us a high confidence level (more on confidence levels) that justifies calling it a "no-brainer best choice." Based on 3.5 stars averaged over 332 reviews, we rank this Whynter model second best Whynter air conditioner. * Our list is based on a full computation of hundreds of reviews from multiple sources. An eco-oriented A/C, as its name indicates, which uses lead-free components and a special technology to recycle some of the moisture it generates. A portable air conditioner that uses auto drain technology to recycle moisture and comes with an exhaust hose that extends up to 60 inches. 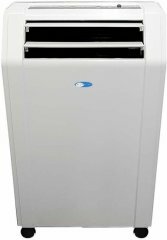 A portable air conditioner with a dehumidifier function and self-evaporating technology. A 14000 BTU portable a/c with presumably eco-friendly performance (and parts), finished with a two-toned stylish look. 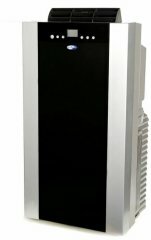 A self-evaporating portable and smaller-than-usual eco-friendly air conditioner with a noise level of 43dBa and a dehumidifying capacity of 43 pints per day.